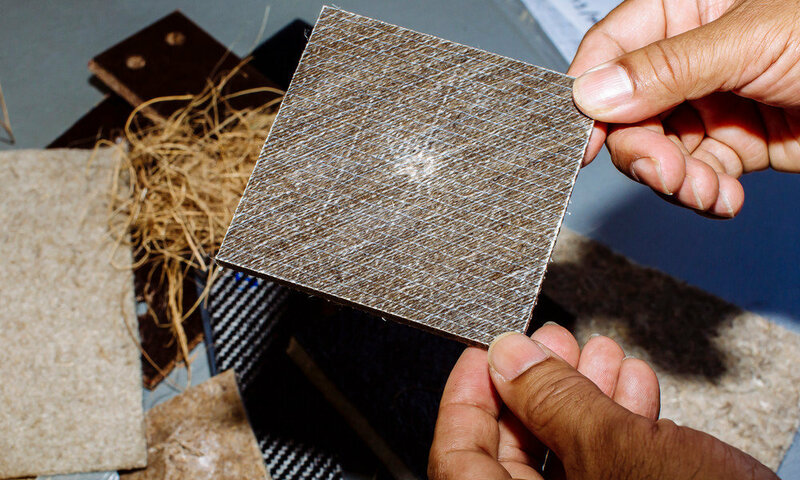 A team of researchers, led by the University of Portsmouth, have developed a bio-composite material using date palm fibre biomass (biomass is a term that includes waste material from plants, food waste and sewage) that can be used in non-structural parts, such as car bumpers and door linings. The team also involved researchers from the University of Cambridge, INRA (Institut national de la recherche agronomique, a French public research institute dedicated to agricultural science) and University of Britanny, South. Dr. Hom Dhakal, who leads the Advanced Materials and Manufacturing (AMM) Research Group at the University of Portsmouth and co-author of the study, said: "Investigating the suitability of date palm ?bres waste biomass as reinforcement in lightweight composite materials provides a tremendous opportunity of utilising this material to develop low-cost, sustainable and lightweight biocomposites. "The impact of this work would be extremely significant because these lightweight alternatives could help reduce the weight of vehicles, contributing to less fuel consumption and fewer C02 emissions. The sustainable materials can be produced using less energy than glass and carbon fibres and are biodegradable, therefore easier to recycle."